It’s time to take a look at the weeks new releases specifically on Blu-ray in the US. These new titles came out this week, October 17 2017 to be precise. 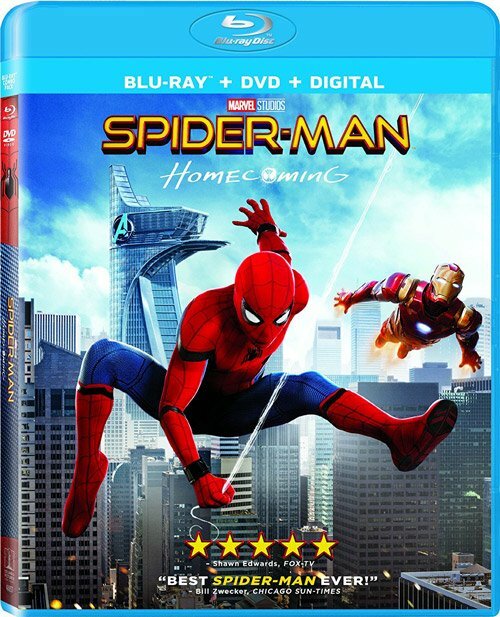 The big release for many will be Spider-Man: Homecoming which arrives as a combo box containing Bluray, DVD & digital versions. Another significant release you can now pickup is the rather nice Alfred Hitchcock: The Ultimate Collection released by Univeral Pictures, a must have for any film lover. Rounding up the rest of the week’s releases are Girls Trip (2017), Barry Lyndon (1975), A Very Sordid Wedding (2017), Twin Peaks: Fire Walk with Me and Batman vs. Two-Face. Moving on to television and American Gods: Season 1 makes its way on to Blu-ray this week. Is MoviePass the future of cinema? So there’s our US Blu-ray Round-up October 17 2017 with a couple of decent releases.